The motor sport Suzuki GSX-R1000 has been known well, and know the new version comes with claiming more interesting than before which is Suzuki GSX-R1000 2009. 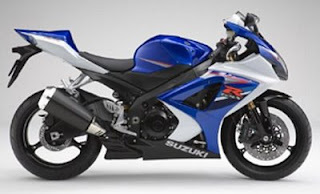 The price of Suzuki GSX-R1000 2009 is about USD12.899. While the specification of this motor sport for instance DOHC 4 silinder 999cc with sporty style.